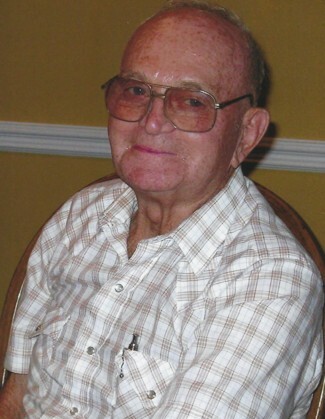 Everett Lavern “Red” Garver passed away peacefully on April 3 at the Missouri Veterans Home in St. James, Missouri. He was 85 years of age. Everett was born August 22, 1932, in Royal, Missouri, to August F. Garver and Nora A. Fuhring Garver. He spent a happy childhood on the family farm. From June 16, 1955 to June 14, 1957 he proudly served in the United States Army. On November 14, 1964, he was united in marriage to Ruth Ann Waring Garver. Over his life he held a number of occupations: Farmer, barber, salesman, glazier and perhaps what he is best known as, a carpenter. He was also an extremely talented musician, known well for his fiddle playing at weddings and parties. His musical talents were not limited to the fiddle. Someone once said, “If it had strings, Red Garver could play it!” After retiring, he helped his wife in the running of Ruby’s Ice Cream, often helping to make the ice cream, and serving the community volunteering for the Golden Age Center. Two things that were consistent through all of his life were his attention to the details and his dedication to serving his fellow man. Everything he did he gave his best, committed to producing the absolute best quality possible. He is going to be dearly missed by all who knew him. Everett is preceded in death by his wife, parents, brothers, Leo Garver, Leslie Garver and Delmar Garver, and sisters, Celeste Garver Newton and Berniece Garver Drewel. He is survived by his children, Gregg (Kitty), Sheila Adams (Scott), and Dale (Lori), all of St. James, Missouri; one brother, August “Junior” Garver of Rolla, MO; grandchildren, Jessiqa Morris (Josh) of Hermann, Missouri, Amanda Rauss, Jared Garver and Cody Garver of St. James, Missouri; great-grandchildren, Abigail, Benjamin and Elijah Morris and Kason Rauss and a host of family and friends. Visitation for Everett Garver will be on Thurs., April 5 from 6 to 8 pm at the Jones Funeral Home in St. James, Mo. Masonic Services will be conducted by St. James Lodge #230 A.F. and A.M. on Thursday at 7:00 p.m. at the Jones Funeral Home in St. James, Mo. Funeral Services will be conducted on Friday, April 6, 2018 at 10:00 am with Dr. David Peter officiating at the Jones Funeral Home in St. James, Mo. Pallbearers will be Jared Garver, Cody Garver, David Garver, Kevin Hemme, Melvin Williams and Jeremy Tessaro. Jared and Lori Garver will sing “When I Get Where I’m Going” and “The Old Rugged Cross.” Burial will be in the Country Side Memorial Gardens in Owensville, Mo. Memorials may be given to the Missouri Veterans Home Assistance League. Cards are available at the Jones Funeral Home.